We all know how aggravating undesirable phone calls and unsolicited text messages can be, especially when they are repeatedly coming straight from the same caller. Of course, aside from possible scams and annoying telemarketers, just about everyone could come up with a unique reason for wanting to block a certain phone number. And who are we to judge, given that we've certainly been in those same shoes as wel? Now, call blocking is one of those low-profile features that you hardly ever think about but are a literal life-saver whenever the need arises. That's because we take it for granted, and this is fine - after all, just about any self-respecting phone you can possibly get has the essential call blocking feature built in. 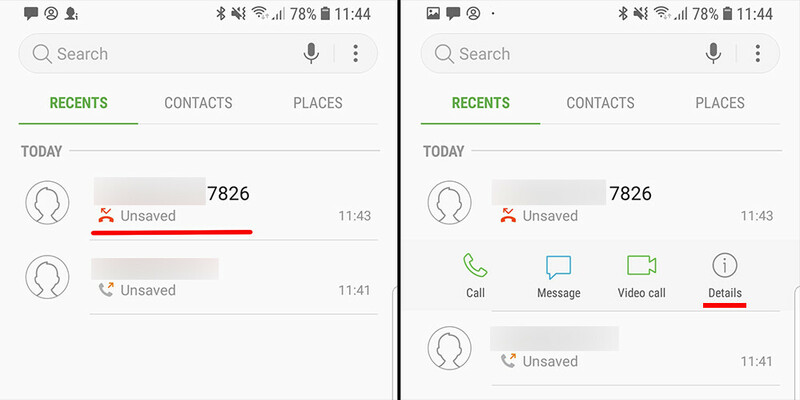 Unsurprisingly, the Galaxy S9 and S9+, Samsung's latest top-shelf performers, allow you to easily block phone numbers and prevent undesirable callers from reaching out to you. 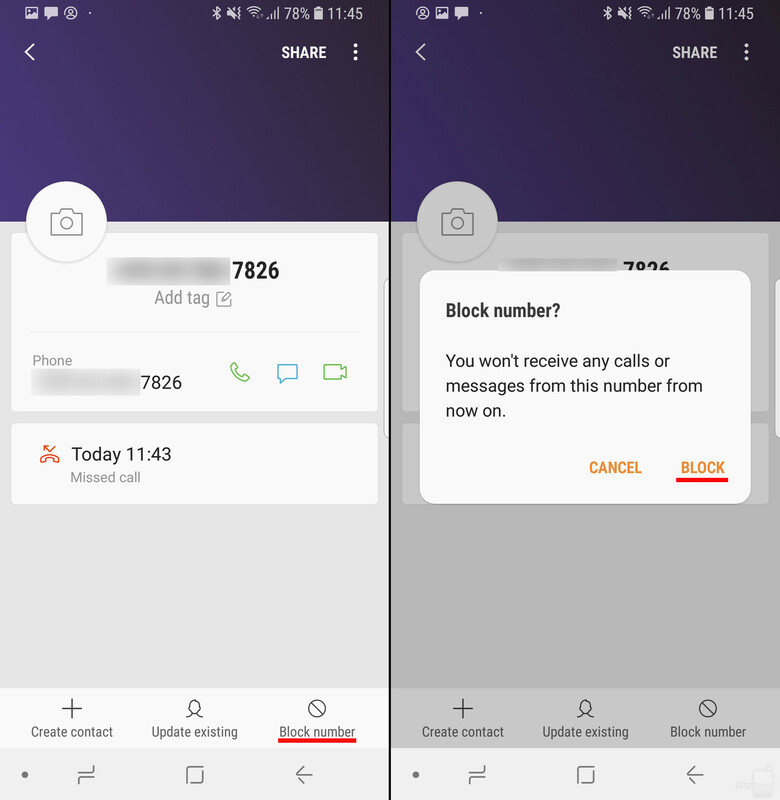 Regardless if you want to block an incoming number or preemptively input a phone number in the blacklist, the Galaxy S9 and S9+ have got you covered. So, somebody has been calling you repeatedly, and due to one reason or another, that's everything but your cup of tea. First things first, you have to open the phone app and head to the call log where any incoming and outgoing calls are stored. Long press the number we're about to block and tap 'Details' in the menu that pops immediately beneath the number. You will be sent straight to the details page of the contact in question. You will probably notice the 'Block number' button on the bottom bar immediately. Tap it and confirm your choice, and voila, said phone number will no longer be able to get in touch with you, neither via calls nor texts. In case the number you wish to block hasn't called or messaged you, you can take preemptive countermeasures by blocking it in the built-in black list. To access this one, once again fire up the phone app and go to the internal menu by tapping the three-dot menu in the upper right corner. In the next menu, look for "Block numbers" in the "Call settings" section. Tap on it and you will be immediately taken to a field where you will be able to manually input any phone number that would be blocked. 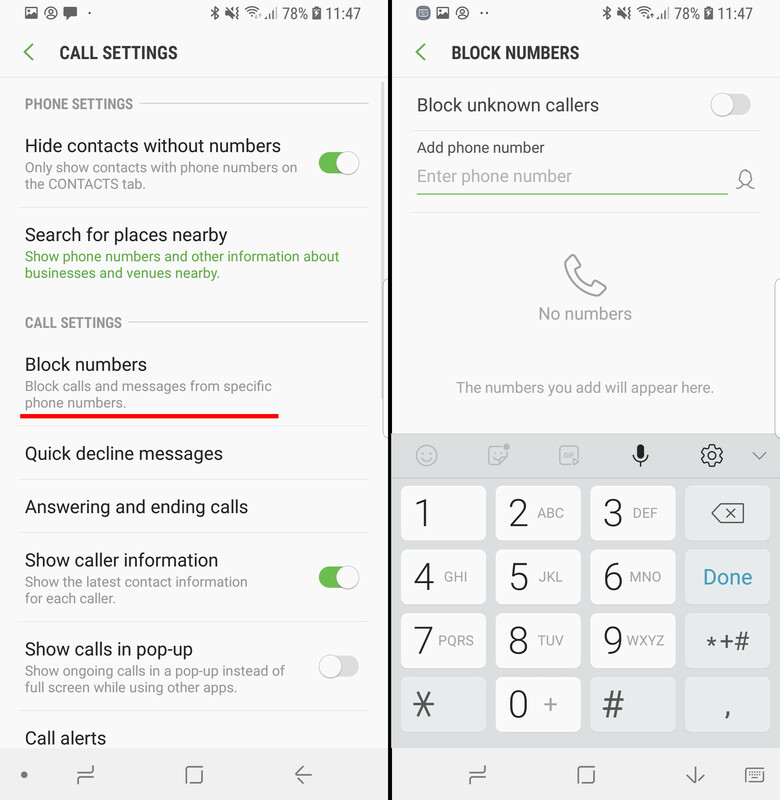 Moreover, any phone number that you've blocked using the first part of our guide will appear in this menu; you will be able to unblock it from here. This isn't a new feature, right? I could do it on my GS6. Wondering if my S9 is the same as my iPhone 6s+ ? It still let the blocked caller get to your voicemail. I had to buy a separate app, iBlacklist in order to keep the caller out. I do not see that mentioned here. Where is the delete button Phonearena if you accidentally double post?